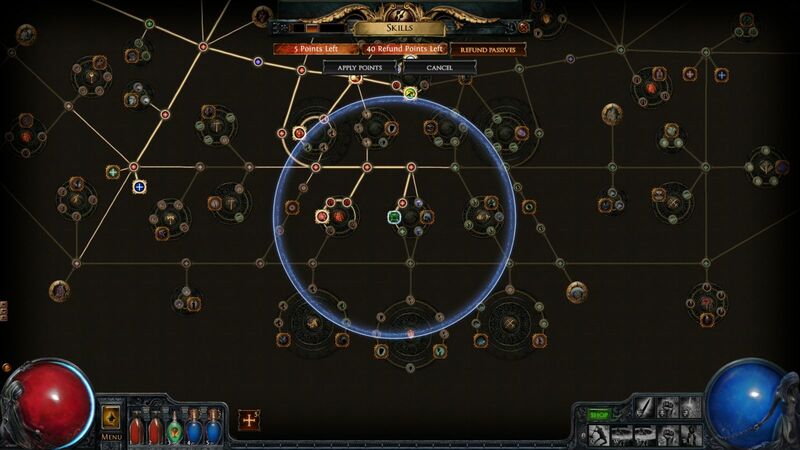 Not so long ago I managed to get into the RPG-game Path of Exile. I will not say that I tried to go there, but some time ago it struck me in the head to leave an application for a "try" game. In general, I tried it. About the impressions I will briefly describe below. So, the game is a regular clone Diablo. More, of course, looks like the second part, but, with some improved graphics. Still remained a view from above, without the ability to rotate the camera, although it can be approached (but who cares), The same control, the battle system. Come on, what really there: the same registration of lives and mana, the same inventory, the same mini-card, the same socket things. Differences except in banks - one can be used several times, and they have several characteristics: the amount of healing, the time of healing, the maximum expenditure and how much is spent for one healing. And over time they are restored. At the very beginning of the game, it is suggested to choose a character from one of the seven classes: Shadow (dex / int), Marauder (str), Templar (str / int), Ranger (dex), Duelist (str / dex) Witch (int) and Scion (dex / int / str). Next to the classes on the right, they indicate which characteristics they use. From the selected class will depend on the color of the gems (active skills), which will later be used. Green is dex, blue is int, red is str. After setting the name and waiting a little we find ourselves on the shore of an unknown continent, a muzzle in the sand and absolutely do not understand anything. Yes exactly. Neither your prefaces, nor introductory screen savers. In general, having risen, looking around we notice a half-dead man lying. Approaching him with the intention to understand what kind of... he turns into a zombie and attacks us. The good in his hand was some kind of truncheon. Having received the level, I, of course, opened a tree of skills to pump the character, and in a natural way oh... was stunned. Here is the second difference. Whether it's a joke - more than a hundred different parameters... see for yourself. Later, of course, everything fell into place; this tree of all classes of characters at once, but the first impression was strong. And in the screenshot above, not all of the tree... Although there is a plus - such a huge tree allows you to collect completely different characters and even you can, for example, make an archer to make a dagger and vice versa (there are no restrictions on weapons by classes). Go ahead. Active skills. They are purchased from gems that are inserted into the equipment. I have already told you about the classes and their skills, so here are the stones in the game for the color of these skills. Moreover, more weapons and equipment. They need to insert the appropriate gems with skills. However, there is a difficulty, as it is necessary to select clothing and weapons not only for its protection, attack or bonuses, but also for colors and number of slots. Gems after insertion into the slot begin to be pumped from the earned experience, as well as the experience of the character. As the gems are pumped, the skills that they are given are pumped. Moving further along the island, I continued to fight with zombies. Not a single hint of other players. I even began to doubt the online component of the game, but soon after killing some boss, I was given a way to the first village. Then I saw other players. Walking around the NPC thanked me for killing the very "boss", gave the award incomprehensible items, by the way, there is no money in the game. Absolutely. Plus, they piled up a bunch of quests and I went on to hack'n'slash-il different evil spirits. I did not play for long, to be honest, but the nuances described above made me think at least over the distribution of skill points, as well as the choice of equipment. I was still glad to realize the shadows in the game. Generalizing I can advise the game diablo-manam. I should like it, I think. Well, snack gameplay video. I apologize in advance for the quality. 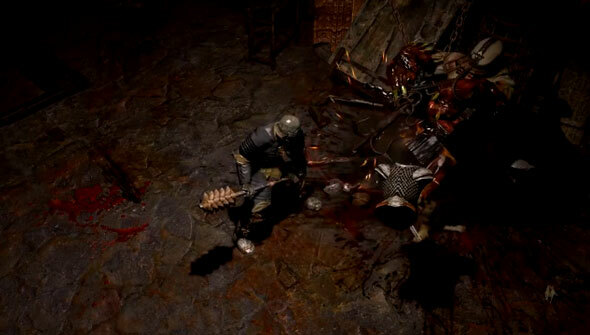 For more Path of Exile tips and tricks, stay tuned to U4GM. You can choose www.u4gm.com where you can buy PoE items cheap.